Easter is next big day to Christmas in Italy, but here, it is not, only about Easter Sunday. A one-week observance begins from the Palm Sunday itself. The days of the week leading up to Easter are marked by holy processions, religious services, and masses. Known as ‘Pasqua’ in Italian, Easter is celebrated in Italy with traditional dishes such as Colomba, artichokes, roast lamb and many more. Easter in the birthplace of Renaissance—Florence, is celebrated with the Scoppio del Carro which literally translates to Explosion of the cart. The beginning of Scoppio del Carro goes back to the 11th century. First Crusade when Europeans besieged the city of Jerusalem over a conflict to claim Palestine for Christianity. A huge, wagon is decorated and dragged through the road of Florence by white oxen. 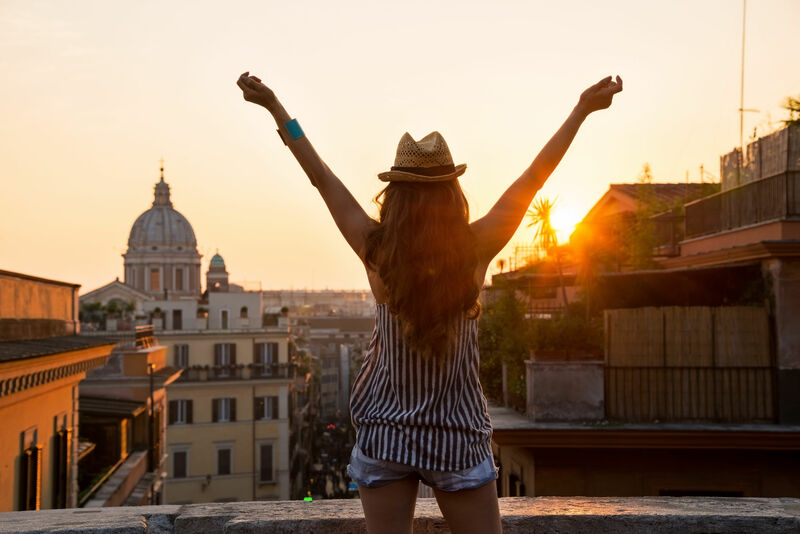 It reaches the Basilica di Santa Maria del Fiore in Florence’s historic center. After mass, the Archbishop shoots a rocket which is in shape of a dove into a cart filled with fireworks. The fireworks in the cart burst to create a spectacular display. Italian cities and towns on Good Friday, Saturday and at times on the Easter Sunday witnesses religious processions. Several churches have special statues of the Virgin Mary and Jesus to be marched through the city or exhibited in the main square. The participants of the parades are dressed in traditional ancient costumes. Palm fronds and olive branches are heavily used to decorate churches. 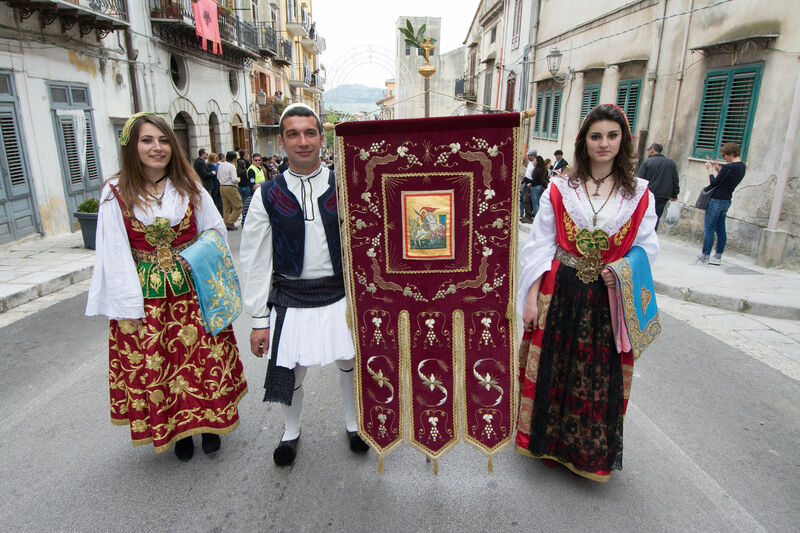 The city of Enna located at the center of Sicily has a large procession on Good Friday. The procession has over 2,000 friars dressed in ancient costumes who walk through the streets of the city. Another Sicilian city—Trapani situated on the west coast of the island, has Good Friday procession known as Misteri di Trapani which literally means Procession of Mysteries of Trapani is the longest festival of Sicily with 16 hours of continuous (and at times go beyond 24 hours) of celebrations. The procession is very elaborate and dramatic. One of the oldest Good Friday processions in Italy is held in the city of Chieti in the Abruzzo region, located in southern Italy. The procession is believed to have started in 842. Organized by the local fraternity—Dead Brotherhood, a choir consisting of hooded adults and children take part in the procession with the orchestra playing Miserere, composed by the 18th-century local composer named Saverio Selecchy. Towns such as Montefalco and Gualdo Tadino in the Umbria region, organize live passion plays on Good Friday night while others put on plays enacting the stations of the Cross, or Via Crucis. 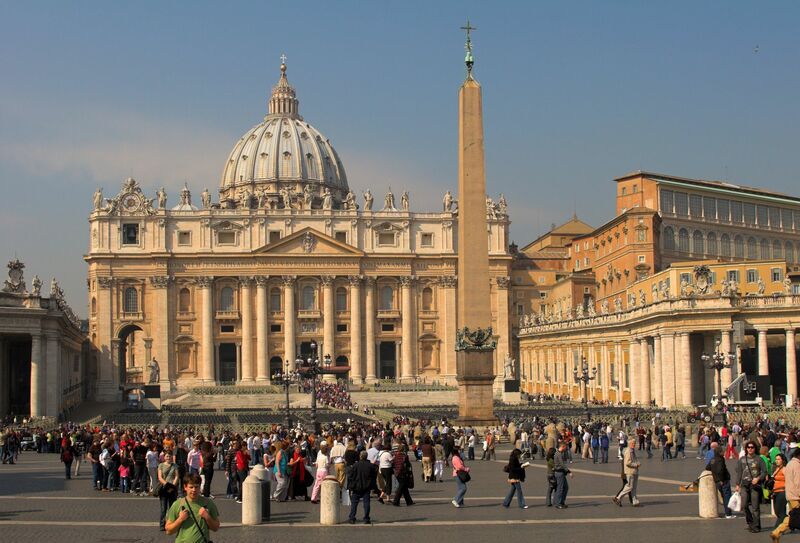 On Good Friday which is the Friday before Easter St. Peters Basilica is filled with people more than the regular days. The Basilica witnesses the grand celebration of Stations of the Cross or Via Crucis which is a series of images depicting Jesus Christ on the day of his crucifixion. A huge cross with burning torches is established in the premise of the Colosseum and Pope leads the stations of the cross around it. Stations are the 14 sites where the 14 events occurred when Jesus was on his way to crucifixion. In Sulmona; a small city in the Abruzzo region celebrates Easter Sunday with La Madonna Che Scappa in Piazza. La Madonna Che Scappain Piazza translates to Madonna who escapes. People dress in green and white which depict peace, hope, and resurrection, and gather in the main piazza. A woman who plays the Virgen Mary is dressed in black and as she moves to the fountain, doves are released. Celebrating Easter in Italy is absolutely an unmatched experience. 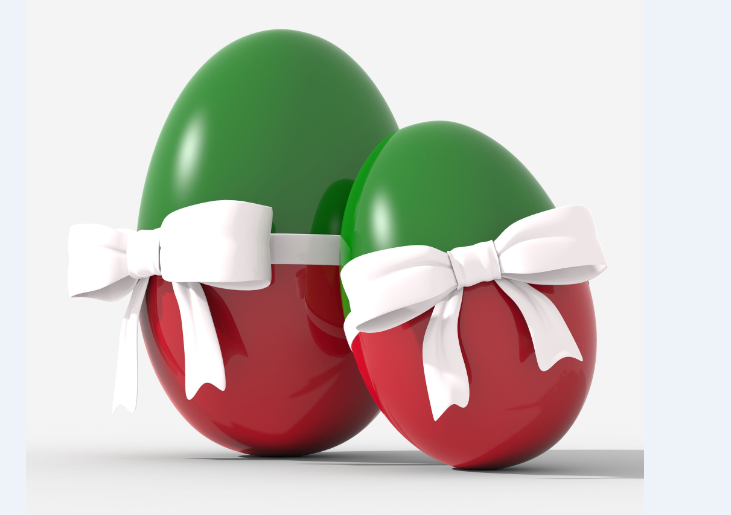 To enjoy Easter in Italy hassle-free, book your Italian tours at www.benvenutolimos.com.